The job of the County Commission is to oversee the affairs of the County. 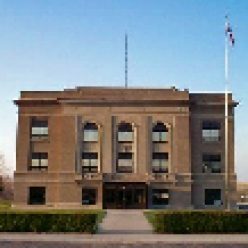 The elected Commissioners work together to administer county services including, but not limited to, county roads and bridges, law enforcement and courts, and overseeing county offices. These things are accomplished by creating policies, approving budgets, and levying taxes designed to achieve their goals. While the Commissioners have the final say in county business, they still work within the confines of state statutes and work closely with state agencies to try to secure state and federal funding.